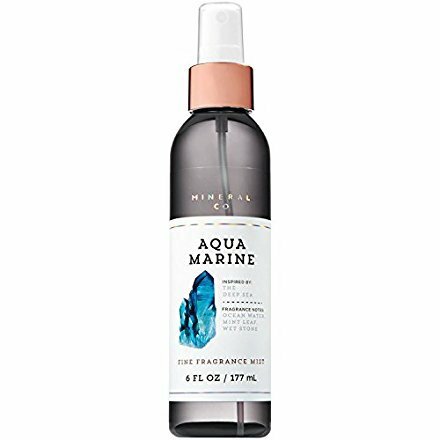 Our aquamarine fine fragrance mist is reminiscent of lazy oceanside days. Whether you generously splash or lightly spritz, you'll fall for this scent at first mist. Our fragrance mist offers the lightest, most refreshing way to fragrance! Our aquamarine fine fragrance mist is reminiscent of lazy oceanside days. Whether you generously splash or lightly spritz, you'll fall for this scent at first mist. Our fragrance mist offers the lightest, most refreshing way to fragrance!